For 5 weeks from Nov 17th to Dec 22nd, West Ox Arts will be hosting Christmas Arts and Crafts, a unique selection of contemporary handmade arts and crafts brought to you by our very talented members. 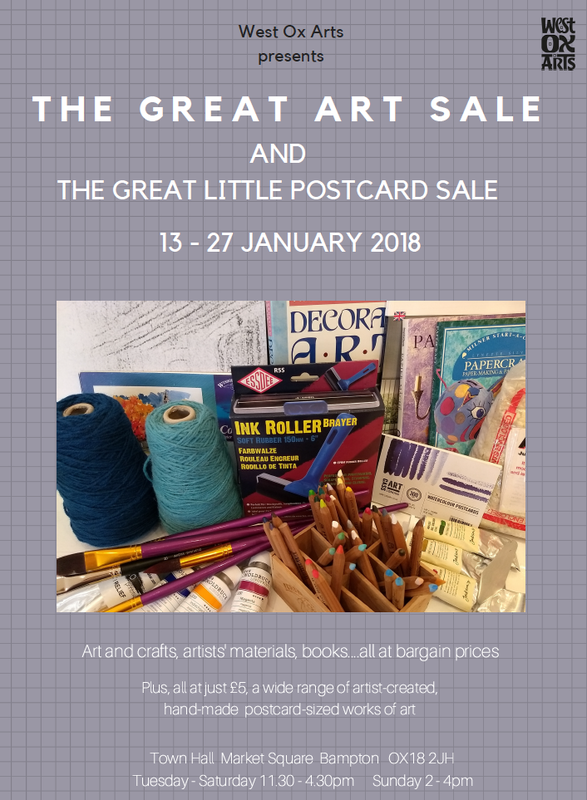 There will be many opportunities to stock up on your Christmas gifts with innovative and bespoke arts and crafts, ranging from mosaics to textiles, ceramics to jewellery plus sumptuous prints and original products. For many of our members Christmas preparations start in the spring as they beaver away tucked in their studio filled with fairly lights. West Ox Art Gallery is THE place to do your Christmas shopping. After several successful shows at West Ox Arts in the past, WOA is welcoming Andrew Forkner back for another exhibition of his ever-popular wildlife drawings. Andrew returns to West Ox Arts Gallery for his new exhibition A Natural Perspective, that runs from Saturday 20 October to Saturday 10 November, coinciding with the release of his second book, Drawing Birds. He will be exhibiting, for sale, a large number of original works, old and new, along with a range of mounted prints. ‘A Natural Perspective’ is the space to find Forkner’s detailed and intricate drawings of all-things wildlife. Exquisitely rendered and lifelike, his drawings of animals and birds are observed in their natural habitat, this is a natural fit for WOA’s beautiful light surroundings situated in the heart of Bampton. The exhibition will feature many animal species, endangered big cats: such as tigers, snow leopards and cheetahs, birds of prey, such as falcons and eagles, along with many familiar wildlife animals that we see all around us. Beginning his working life as an illustrator and painter, Andrew’s highly realistic style can be found in acrylic, pastel or pencil. Take a step into the animal kingdom with Andrew and let him take you on a journey to witness a large collection of art featuring animals and birds from around the world. At the start of his career Andrew produced mostly illustration work, drawing birds and animals for journals, magazines and books, (most notably as principal illustration for the “The Birds of Oxfordshire”), for which he produced the colour plate for the dust jacket and 87 of the 147 ink drawings in the book. A self-taught wildlife artist, Andrew works in a variety of media, including graphite pencil, coloured pencil, acrylics and pastel to complete his originals. Andrew is a keen naturalist and has travelled in both this country and abroad in search of wildlife. His artwork has also travelled widely, with examples of his art in collections in the UK, Europe, Kenya, Canada, USA and Nepal. His wildlife art has been displayed at many British venues including but not exclusive: Christies, Sotheby’s, The Artist and Illustrator’s Show at Olympia, Art Materials Live at NEC, WWT galleries at Slimbridge, Arundel and The London Wetland Centre and Nature in Art at Gloucester (where he participates in their ‘Artist in Residence’ programme and runs drawing/painting workshops). Take Tracy Florance’s contemporary photographic images from around the world, and add Sally Dorrity’s unique hand-thrown ceramics, and you’ll be transported into a world of curves and lines. Tracy and Sally began collaborating with their exhibitions because they recognised the way their art forms complement one another. The straightness of photographic architecture, both internal and external and the way ceramics introduces us to natural textures, shapes and lines. It is a collaboration that takes your senses on a journey and soothes us into Autumn. Both Tracy and Sally have exhibited widely around the UK and will bring Curvilinear to West Ox Arts Gallery in Bampton from September 22nd to October 13th. Tracy took up her second career as a photographer some years ago, having worked for a major international book publishing company for over 30 years. Working almost entirely in colour, a common thread emerges in the form of strong architectural shapes – whether of old or new buildings, street scenes, or landscapes. Abstract design elements are combined with real, recognisable objects and events. Sally is a member of the West Forest Potters Guild and is also a member of the From the Kiln group of ceramic artists. She has exhibited during Oxford Artweeks and Bucks Open Studios as well as with a number of galleries and art fairs. 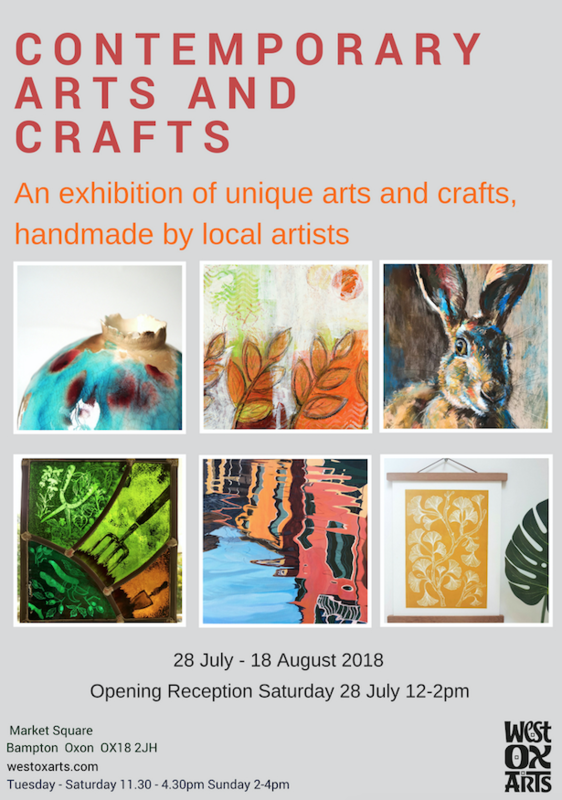 This summer West Ox Arts will be supporting the work of more than twenty local artists – a mix of West Ox Arts members & non-members, some of whom are exhibiting in the gallery for the first time. Their unique handcrafted art is made with skill, passion & dedication. There will be a great range of crafts on display, including ceramics, textiles, glass along with paintings and prints. All work is for sale, to take away on the day. Each purchase, however small, makes a difference to an artist & at the same time supports West Ox Arts, a registered charity. It puts a smile on the seller’s face & enables them to create more wonderful things. Come along and admire. You may find some early Christmas presents – the sun is shining now but Christmas will be here before you know it! This exhibition includes more than 40 paintings by Pip Shuckburgh, before and after the phenomenon that is Downton Abbey made her paintings known worldwide. Her brilliantly composed paintings feature stately homes, factories, oil refineries, donkey and topiary. Her career has encompassed illustration, miniature pictures on eggshells for Fortnum and Mason, murals for fashionable homes in Notting Hill and furniture decoration. When she decided to put her mind to fine art and painting in oils, she joined Prue Pardue’s C20 (now C21) group in Oxford and brought all this extraordinary experience to bear on her work. Influenced by artists like Lowry and Hopper, she now takes commissions to paint stately homes such as Blenheim Palace, Highclere Castle and Stonor Park. Whilst working more for herself she paints industrial sites, as well as more domestic images, sometimes verging on the abstract, and instilled with the same lonely beauty found in the pictures of the American 20th century painters. This exhibition is a rare opportunity to see some of her stately home pictures, kindly lent for the occasion and to get a view of her remarkable versatility and technical skill. The Brunel Broderers are a group of textile artists based in Gloucestershire who have exhibited together for a number of years. 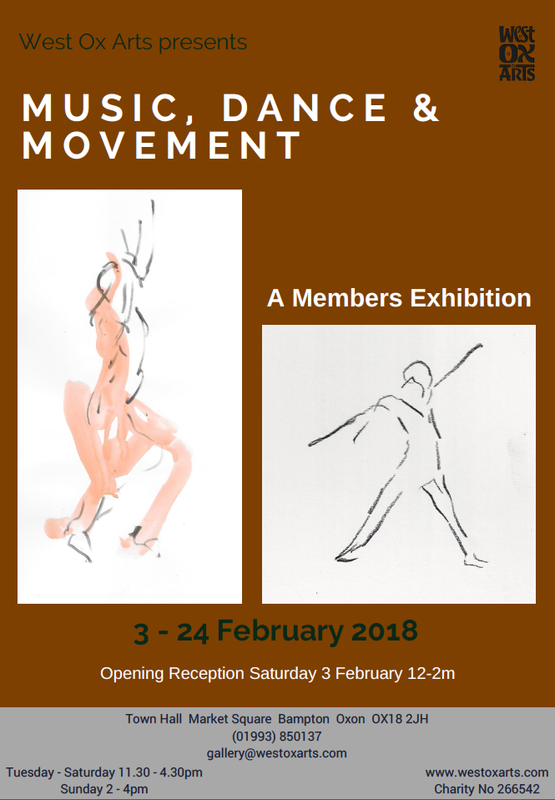 Their last exhibition was in September 2017 in Bath. They are bringing an updated and extended version of ‘Underpinning’ to West Ox Arts in June of this year. The word UNDERPINNING is evocative of many things from the history and archaeology of a city to personal concepts that signify and generate practice. For this exhibition each artist has taken her own ideas to make a collection of textile related work. When all six are put together they show a fascinating variety of form, methodology and inspiration. As well as each artist’s individual response is a group response and an opportunity for the public to engage with their practice. As a challenge each member of the group was asked to ‘Take a Frame’, an inexpensive black fifteen centimetre frame with which to work. It could be altered and used in any way, painted, deconstructed, in fact made to serve the makers purpose. From six identical frames six very different ideas have evolved from flowers, leaves and bees to plastic repurposed, homage to Howard Hodgkin and ancient cursive script. The postcard is a familiar way of connecting with friends; the group have used them to create light hearted ‘Connections’ with paint, pen, stitch and collage. The altered cards were sent to another member who in turn made their own alteration and sent the card on, often to the amusement of the local postman. Some of the cards will have made several journeys and what you see is the result. The public are invited to make ‘Connections’ by taking, altering and sending back cards so the ‘Connection’ will continue to grow. This year’s Artweeks exhibition at West Ox Arts will show a lively mixture of painting, sculpture, stone-work and ceramics, throughout the very arty month of May. Oxfordshire’s C21 Group is one of the county’s longest-established creative art groups. Painting exclusively in oil, the group’s members share a passion for colour, tone and composition, giving their diversity of style a sense of harmony. The members gather at Stanton St John once a week to paint and to exchange ideas, while supporting and encouraging one another in their endeavours. Eleven artists are showing their paintings in our gallery during Artweeks. Collectively, the C21 Group has exhibited at ‘The Gallery’, Cork Street in London; the Said Business School and the North Wall in Oxford; and the Oxford Museum in Woodstock. Sculpture and stone-work is provided by Piotr Gargas, who lives in Witney and carves stone gargoyles for a number of Oxford colleges. He studied architectural masonry in Poland, and moved to Oxford ten years ago, when he says he instantly fell in love with the city. He works in all kinds of materials: wood, clay, but mainly in stone and recently even digital sculpting. In his day job he has contributed to the renovation of iconic Oxford buildings, including the Bodleian Library, Magdalen College, Exeter College, Christ Church, St Mary's Church. Claire Powell is exhibiting an attractive and diverse range of ceramics, made in her studio set amongst the rolling hills of Gloucestershire. Over the years she has developed a unique method of glazing by incorporating leaves, grasses and seed heads into her finished designs, therefore making each bowl, jug or mug both distinctive and unique. Her skills in producing thrown pieces and her development of interesting glazing techniques have made her work very collectible. 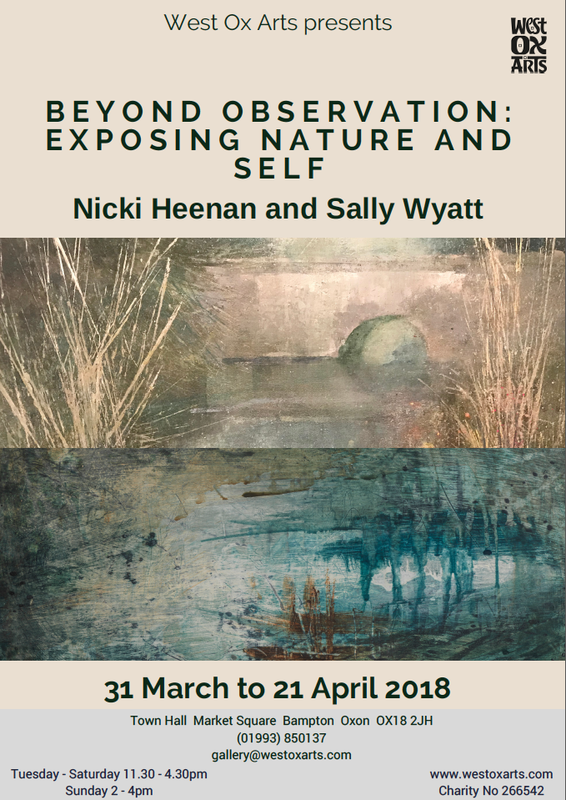 April’s exhibition brings together two very passionate artists whose work powerfully expresses as much about themselves as it does about their chosen landscapes. 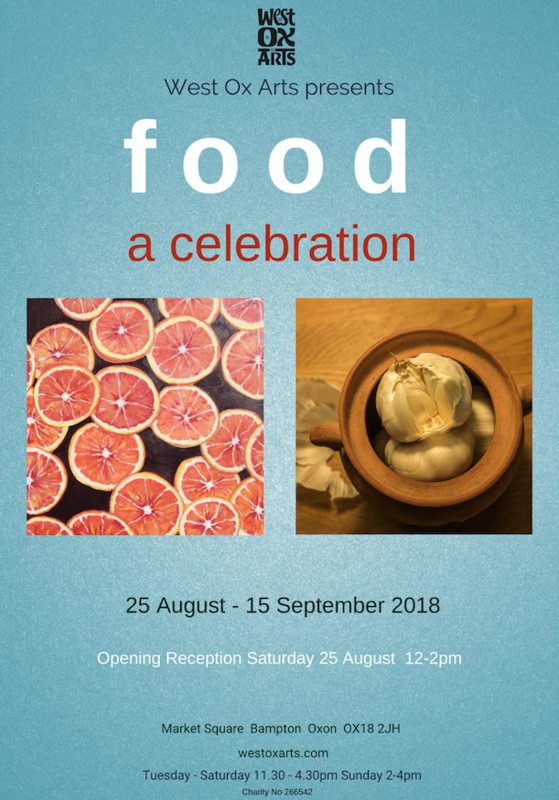 Both artists have recently held successful exhibitions in their own right, and this exhibition offers a delightful fusion of their creativity here in Bampton. Whilst there are similarities between their modes of expression, notably their love of texture, layer and expressive mark-making, each has a distinctive voice. Nicki’s intricate surfaces are built up in oil and cold wax; Sally’s paintings are often a web of overlayed colour and mark. Both artists express deep understanding of their chosen subjects. This exhibition develops time-honoured themes about nature and atmosphere in new and exciting ways that are both universal and deeply personal. Six professional photographers are showing their documentary and fine art images of urban scenes from locations ranging from Oxford to New York City to the West Bank in Israel/Palestine. Some stark and emotional, some warm and romantic, some almost abstract in their composition, the range of photographic techniques and vision is fascinating. This exhibition clearly underlines the confident position photography holds in the world of art, and it's importance to reportage. We will be offering photography-focused workshops during the exhibition and the photographers will be on-hand in the gallery to talk about their work on weekends, so visitors will have the opportunity to meet them and discuss their work. Nik Stanbridge will be launching his limited-edition photobook “On the Ground’, featuring his series of images of New York, and showing some of his other photo books, including ‘Snapshot of Bampton’.